Perfume is probably my favourite beauty item to buy. It's nice to splurge on something for yourself every once in a while, and when I do, perfume is usually at the top of my list. My most recent perfume splurge was on Loverdose by Diesel. I actually have a long history with this perfume. It was released inn 2011, and I received a sample of it from Sephora. I was instantly obsessed with the scent, and could not wait to purchase it! As much as I loved it, I somehow always talked myself out of buying it, and to spend my money on something else. I kept the sample so I wouldn't forget about the scent. Two years from the release of this perfume I still have the sample. A few days ago I saw online that a local store had the 30 mL size of Loverdose on sale. I literally screamed! I was at the store before it even opened on the day of the sale, and finally purchased the perfume I have been obsessed with the last 2 years. Loverdose has a vanilla base, with citrus-like top notes. It also includes liquorice, and anise. The vanilla is very strong in this perfume, but balances well with the other notes. Personally, I think Loverdose is more appropriate for night time, because it has a heavier scent. I find that this particular perfume lasts throughout the day. I applied it at 8 in the morning, and I was still able to smell it on my skin at 9 at night. I am in love with the bottle! When I first received the same of Loverdose, I was drawn to the scent, but after I saw the bottle I was sold! The bottle is a heart shape, with an arrow going through it. It bottle also sits on it's side, which is a nice change from most perfumes on the market. I am 100% happy with my purchase and would recommend this product to anyone! What's your favourite perfume? Comment below, and let me know! Every fall, winter, and spring I find myself wishing for summer. I love going to the beach, eating outside, enjoying the weather, and most off all, summer fashion! While there are many positives to these warm summer months, there is also one major downfall...hair. My hair cannot withstand any humidity, and combined with sun and water, I am constantly having to tie my hair back. Lately I've been throwing my hair up in a bun, or a ponytail without a second thought. Recently, I've realized that with a few extra seconds, I can make my hair look amazing, and still have it out of my face. 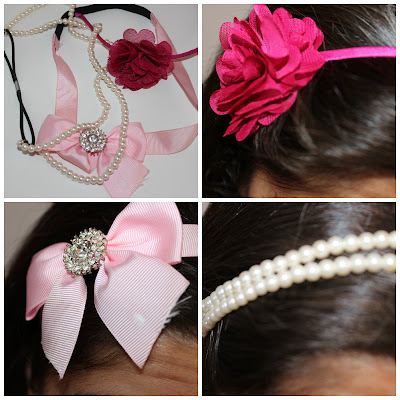 Some of these ideas are as simple as adding a headband, and others are slightly more difficult. If you would like to see these quick tricks, please keep reading! This style has been a favourite of mine since I was little. It literally takes less than 30 seconds to do, but looks like you spent 30 minutes doing it! 1. Your hair can be wet, or dry which makes this style perfect for summer. It can also be straight, curly, or wavy, the texture does not matter. 3. 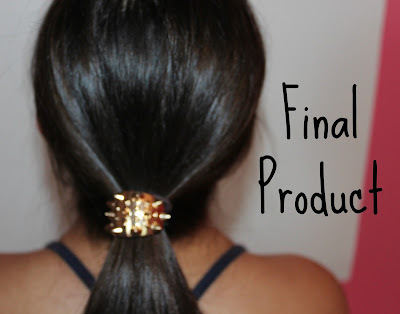 Pull the elastic down your ponytail and create a hole in the hair above the elastic by splitting it into two sections. 4. 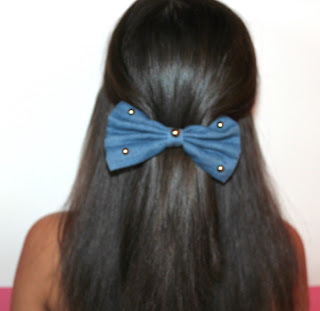 Flip the hair under the elastic up, and put it through the hole above. 5. Pull the hair down, through the hole. 6. Tighten the hair elastic upwards. This trick works on all hair types, and most lengths! You can do whatever you want with the ponytail part as well. 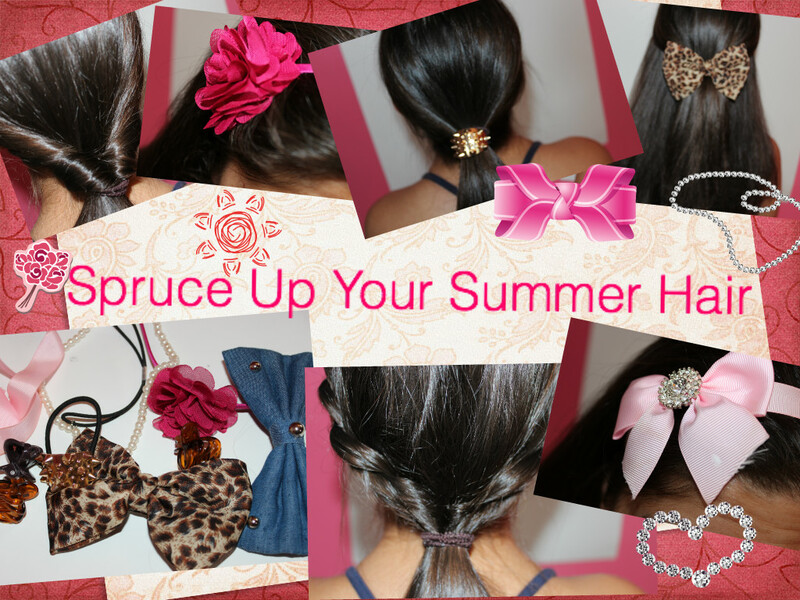 You can braid it, put it in a bun, or pin it up! 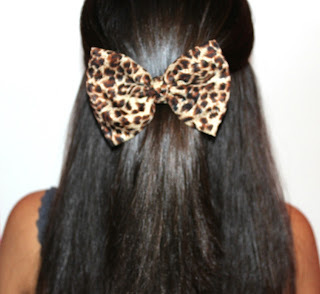 Hair bows are absolutely adorable. They are perfect for pulling the front section of your hair our of your face, while making your hair look amazing. If you pull your hair back with a bow, you are guaranteed to get at least one complement that day. 1. Separate two sections of hair from the front of your face on each side. 2. Pull the two sections back and secure them with a bow clip. I picked up both of these bows from a store located in my area, but you can find them just about anywhere! American Apparel has bows in every colour of the rainbow, and the clips on them are fairly large so they are suitable for all hair types! Every girl loves the original ponytail. I'm pretty sure I learned how to tie my hair in a ponytail before I even learned to walk! I had to include this, because ponytails are tried and true for getting your hair out of your face. I improved the basic style by adding a cool hair clip I picked up at a local store. This extra step makes the basic ponytail more unique, and makes it look like you spent a lot more time on it! Here is the hair clip I chose. 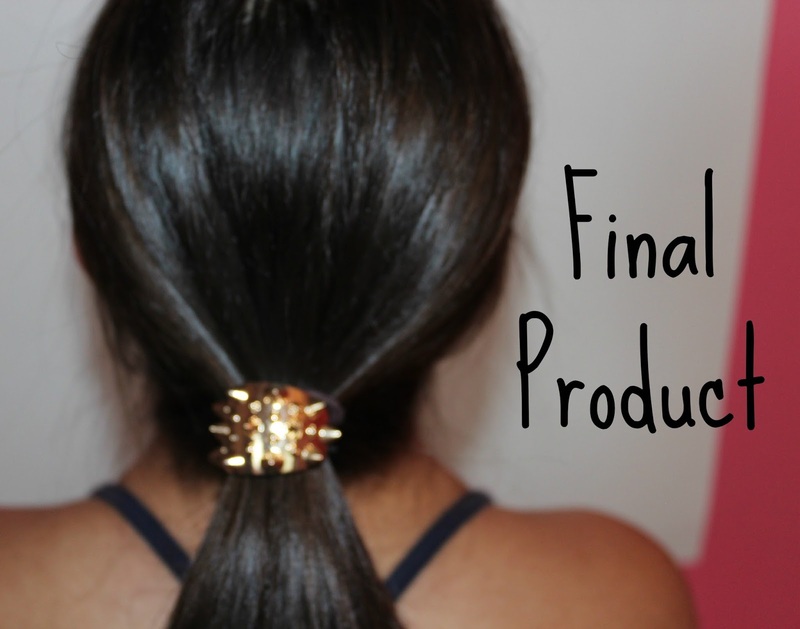 It has a mental piece with an elastic attached, so it is extremely easy and fast to put in your hair! 1. Your hair can be wet or dry, and any texture for this style. 2. Put your hair in a basic ponytail at the height you desire. 3. 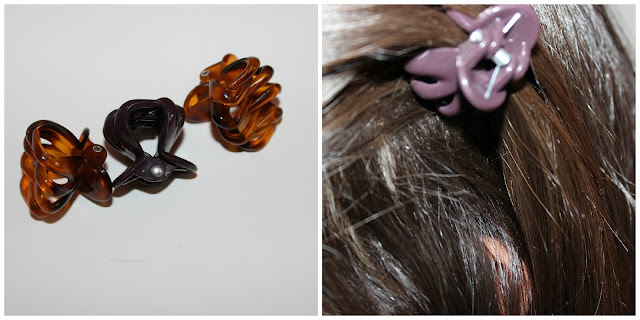 Place the hair clip in your hair. Start by putting the metal piece on top, and wrap the elastic around, being sure to keep the metal piece in place. This may seem like the simplest idea ever, but it really makes all the difference! Whether you have your hair down, in a ponytail, in a bun, or you just came from the beach, adding a headband makes your hair look totally different. Headbands just add that extra 'something' to a boring hairstyle. Headbands can be found everywhere and are typically very inexpensive! The pink flower headband is from a local store, the pink bow headband is from Charming Charlies, and the pearl headband (which is my favourite!) is from Forever 21. I always brain my hair when it's wet in the summer. Once it's dry, my hair has the best natural texture with no heat involved! 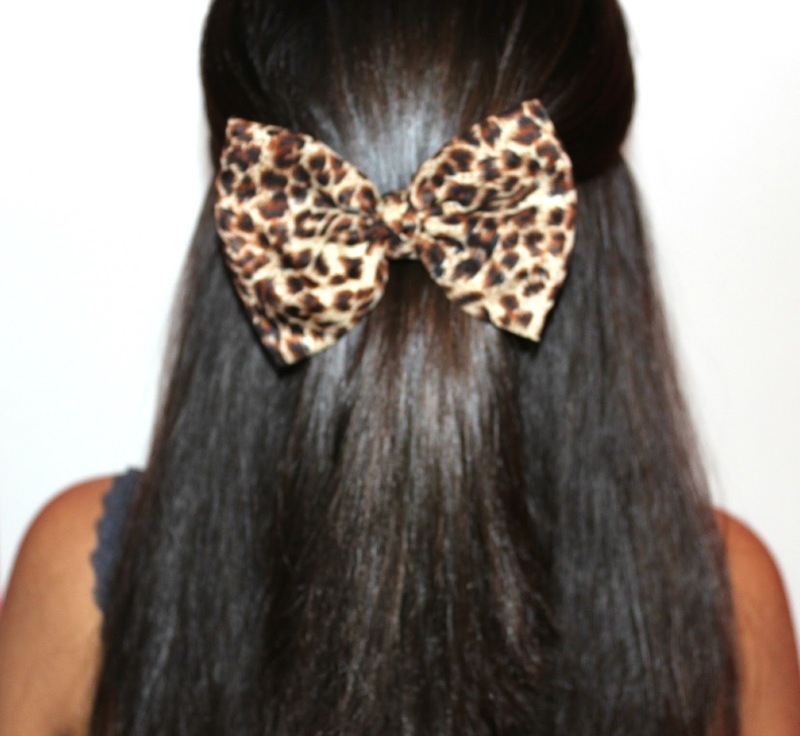 This hairstyle is perfect for keeping your hair out of your face, and can be modified in many ways! To achieve this look, french braid the hair on each side of your face, and tie the ends in a ponytail. To modify this, you can braid the ends, you can tie the ends in a bun, of you can finish it off with the twist shown above! 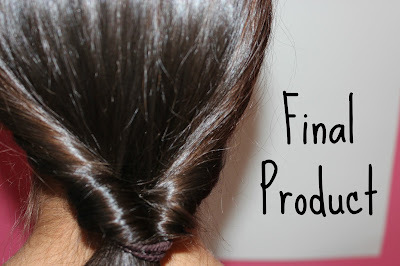 Recently, I've loved just french braiding one side of my hair and tying the rest in a bun! I am obsessed with these mini claw clips from Goody. I always keep them in my bag because they are excellent for pulling any part of your hair back. I especially love them because they open very wide, so you can pull just your bangs back, or half of your hair! They have an amazing grip, so you won't have to fix it every few minutes. These clips also come in neutral colours, so they blend well, and are also very inexpensive (They are about $4 for six)! I purchased mine at Target, but they can be found anywhere Goody products are sold. I used a purple one in this picture, so it obviously doesn't blend as well! Hopefully I gave you some ideas for your summer hair! Comment down below any tricks you use to beat the heat! I have been working out for as long as I can remember. My focus was always to maintain a healthy weight and build up endurance. More recently, I have been focusing on strength. I have been doing a lot of weights, and increasing my muscle mass. 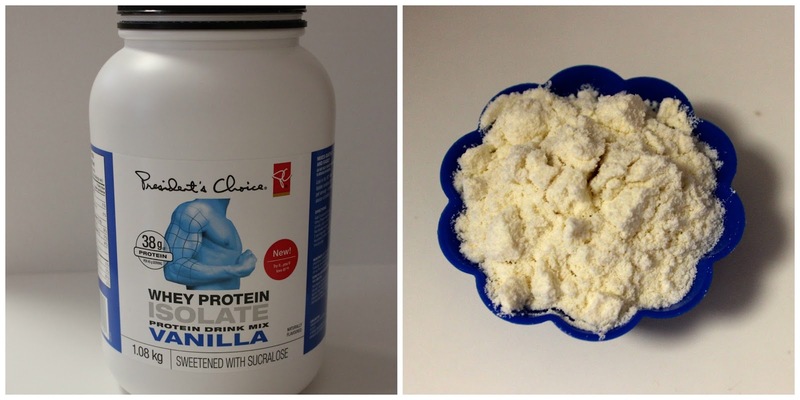 Protein helps rebuild muscles, which is why most athletes like to have a protein shake after a workout. 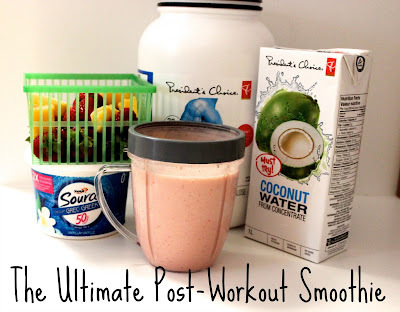 Since my interest in strength has grown, I have perfected the ultimate post-workout smoothie. 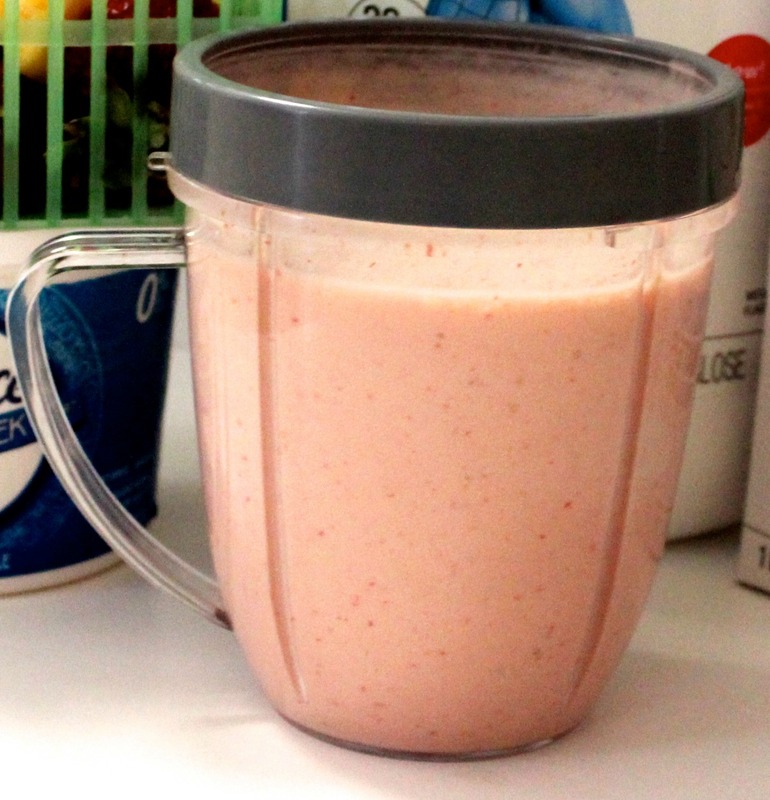 This smoothie is approximately 200 calories, and contains 23 g of protein. 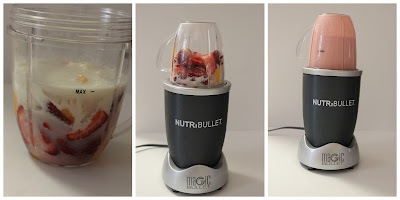 It is also relatively low in sugar and surpasses your daily requirements of vitamin C.
The best thing about this smoothie is that it actually tastes good! It's sweet, but not overpowering, and the consistency and texture are spot on. This smoothie will leave you wanting to workout again, just so you can make more! My favourite combination is fresh strawberries, and frozen mangoes. 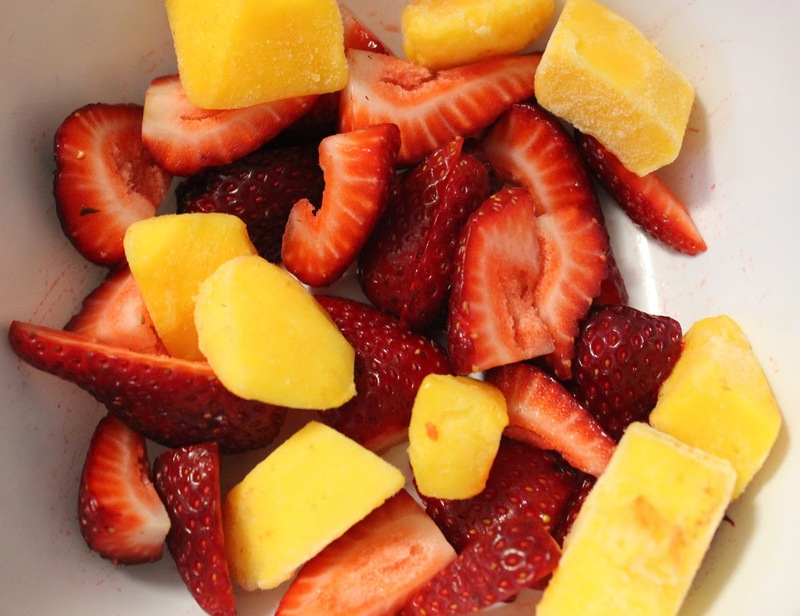 If you choose to add all fresh fruit, I would recommend adding a few ice cubes to the recipe, just to make the smoothie more refreshing. 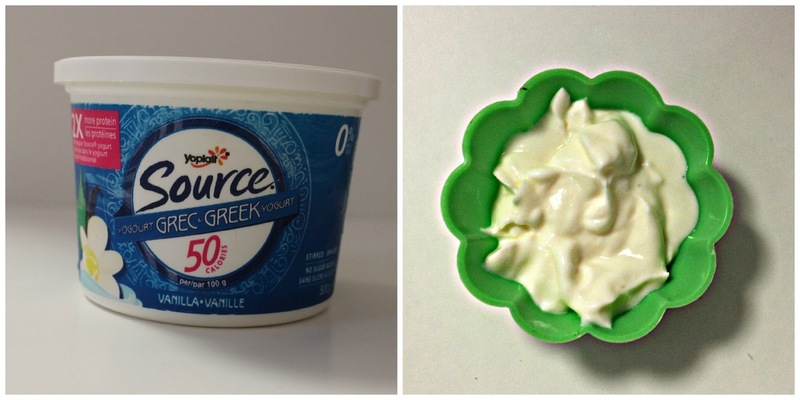 The Source 0% Vanilla Greek Yogurt is my absolute favourite. I have been a lover of greek yogurt for quite some time, and I love this fat free option. 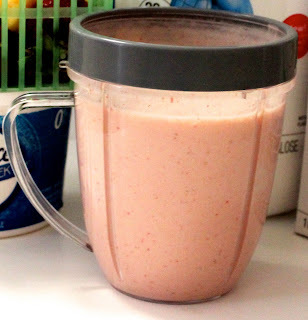 I only add half of a serving, because it just aids to the overall texture of the smoothie. I would not recommend the protein powder I used. This power is sweetened with sucralose, which is a chemical used to replace sugar. I typically use a flavour-less powder, but this is all I had at the time. I also only use half of the typical serving. You should adjust the amount of protein you use based on your body size, and workout regimen. Too much protein can cause negative health affects, and too little protein will have no effect! Coconut water has been my most recent food obsession. It has a very unique taste, which I am not a huge fan of. 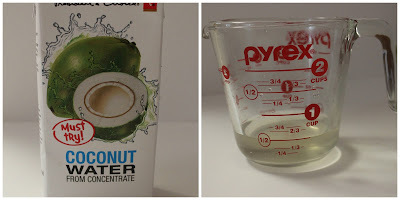 I add coconut water to improve the consistency of my smoothie, and once it is all blended together, you can barely taste it! Coconut water is high in potassium, and also contains no fat. If you try this recipe, or have your own favourite protein smoothie, please comment below and let me know! June is the month when summer officially begins. I find that the summer months cater more to fashion rather than beauty. The hot weather and humidity allows us to break out those high waisted shorts and crop tops we have been lusting over since the winter, but along with that we get frizzy hair, sunburns, and makeup that melts off our faces! My beauty favourites from the month of June are mainly focused on combatting those issues every girl has to deal with during those hot summer months. During the summer, I rarely wear a lot of eye makeup. I usually stick to just mascara and eyeliner but in some cases those are just not enough! Filling in and shaping your eyebrows really defines your eyes and makes them pop. Adding this step to your makeup routine takes minimal time, but has a huge impact! 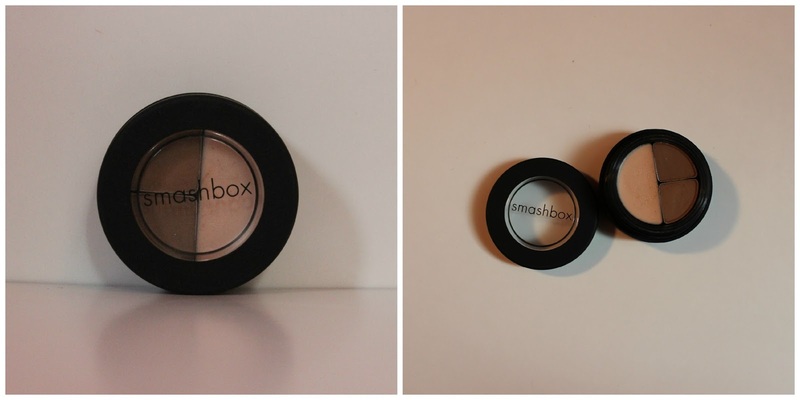 I am obsessed with the Smashbox Brow Tech. It comes with two different powders, one for filling in, and one for shaping, as well as a wax. The wax is awesome for the summer time because it keeps my brows in shape whether I am working out, or going swimming. The best thing about this product is that it looks natural. I am not a huge fan of sharp or pencilled in eyebrows, so this product makes me look like I was born with flawless brows! Sunscreen is an absolute must during the hot summer months. Not only does it prevent burns, it also prevents wrinkles, hyper-pigmentation, and more importantly, skin cancer. This suncreen is oil-free so it won't clog your pores, and very light so it is comfortable to apply under makeup. The particular Super City Block that I use is in SPF 40, but it comes in lower SPFs as well. I have been using this product on my face every single day, and I also keep it in my bag for touchups during the day. My favourite thing about this sunscreen is that it is tinted. It blends extremely well into my skin, and leaves no white residue. 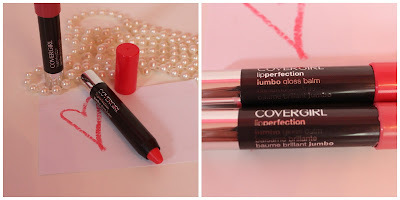 I am a huge fan of hybrid products, and this one is my absolute fave. 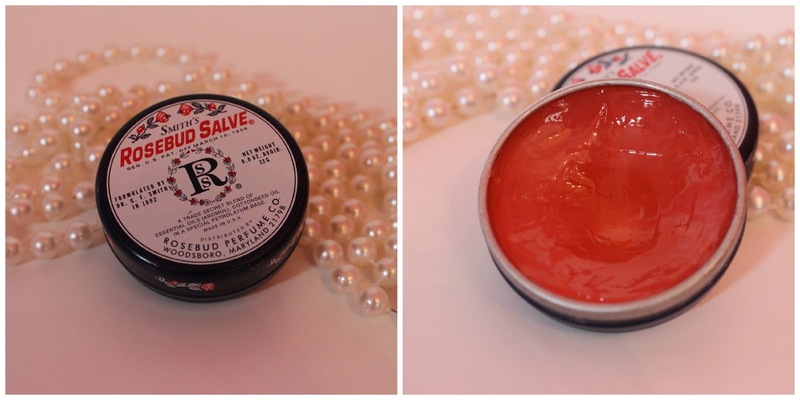 This lip product combines the benefits of lip balm and lip gloss. It is moisturizing and long lasting, while also providing great colour, and shine. I love these for the summer because they aren't sticky, and provide a nice pop of colour. The best thing about the glossblam is that the colour is buildable. The more coats you add, the more intense the colour gets, but it never feels too heavy or too sticky. I have been wearing a coral toned glossbalm for almost the entire month of June! I know many people opt for cream blushes in the summer, but I am just in love with this powder blush shade. 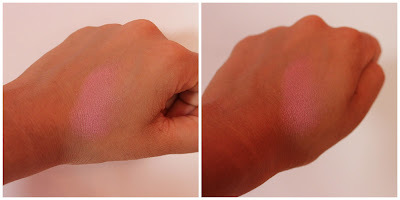 This blush is in a statin finish so it isn't very pigmented, but the colour is just to die for. Well Dressed is a light shimmery pink with gold undertones. It gives the perfect healthy, natural glow that is not overpowering or dramatic. The colour is so neutral that it would go with any skin tone. I typically have a light-medium skin tone, but during the summer is is more of a medium-deep. This shade is very buildable, so it is versatile for night and day. I am sure you are all aware, and can speak from personal experience, that humidity= frizzy hair. I have very curly hair which I straighten everyday so I have tried my fair share of ant-frizz products. The L'Oreal Anti-Frizz Serum is the one I found to work best with my hair. It combines argan oil with other active ingredients to prevent frizz, and keep hair looking shiny and healthy. With this product, my hair can withstand humidity, and hold up pretty well in the rain as well! I truly am obsessed with this product, and nothing else I've tried has given me better results. This is the ultimate all-in-one product! The product packaging states that this can help relive chapped lips and skin, blemishes, burns, cuticles, and soften rough hands. 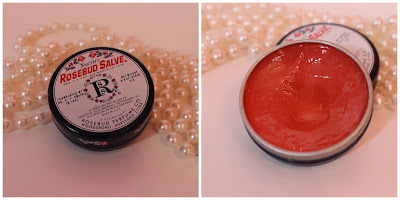 I like to use my Rosebud Salve as a lip balm and cuticle cream but lately i've been using it on my skin after being out in the sun for long periods of time. It smells amazing, and blends colourless into the skin. 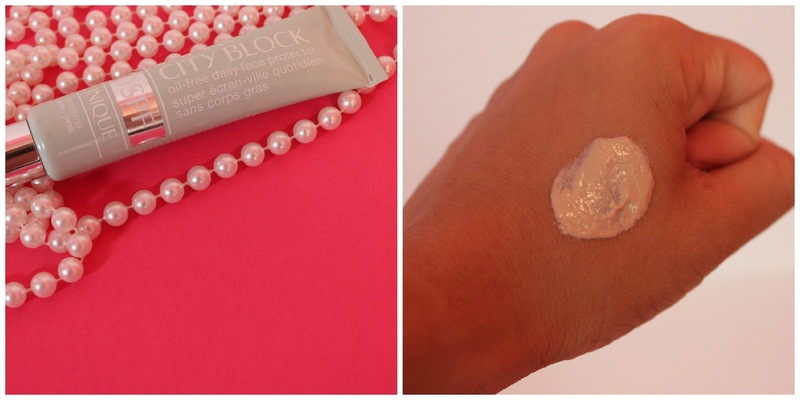 It doesn't feel greasy and leaves skin feeling soft and smooth for a long period of time! This is an absolute must for the summer months! 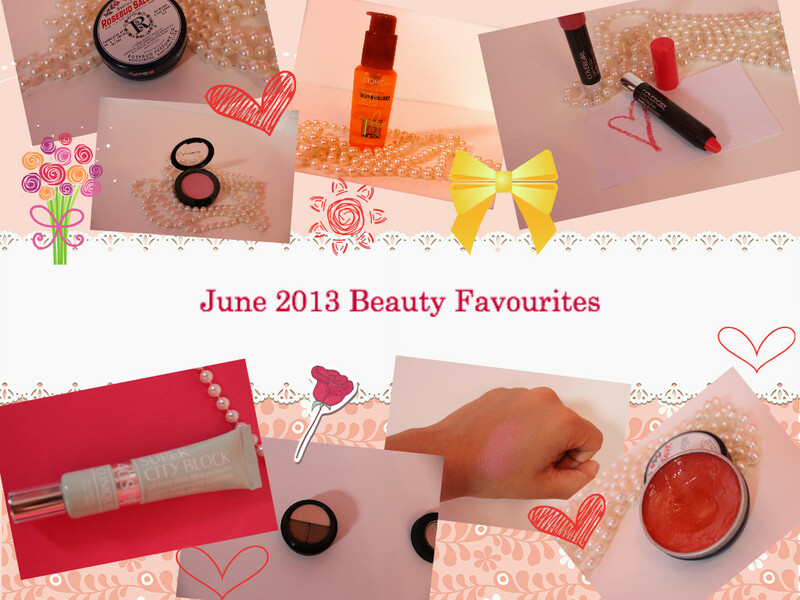 For the past month I have been loving all the products listed above! If you have tried any of them, I'd love to hear your opinions, and I'd also love to hear about your favourites from the month of June! Welcome! First of all, my name is Amy, and I am a first time blogger. I started watching youtube videos about 3-4 years ago, and was inspired by the beauty community! I spent a long time thinking about whether I should start my own youtube channel, but instead I decided to blog. I am absolutely addicted to anything beauty, fashion, or fitness related, and I want to share my thoughts and opinions with all of you! Wantsneedsloves was created so I can provide tips, reviews, and new ideas all relating to girls! I want to share new workouts, nutrition tips, and of course... beauty and fashion trends, advice and inspiration. Since I am new to all of this, I would love to hear from all of you, and hopefully get some advice on editing/formatting. I love reading other blogs, so please comment the links to your blogs on any of my posts and I will definitely check them out!